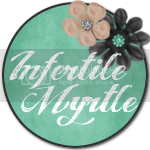 The Infertility Overachievers: Infertility- His Perspective. Recently I approached Mike about writing a blog post. You have all heard my side of our infertility story about a million times. 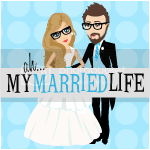 But in the over 2 years that I have been writing this blog, Mike has always remained silent. Finally he agreed (probably because my blog design is no longer pink) and decided to write a summary of his highs and lows over the last 4 years. It’s April 2008 and all I can do is try and calm Aly down. Through her tears and sobbing voice over the phone all I can gather is that Dr. T could offer no solace, no alternatives to the struggle we’d been facing for practically our entire 7-year relationship. I understand at this moment that I’m going to become more familiar with a 3-letter word I wish I never knew—IVF. In a vain attempt to comfort this beautiful woman of mine I whisper that, no matter what, “we’ll overcome this.” We’ll somehow come up with the money, I will make the time, I will shake the heavens in order to provide us with the family we’ve both been fighting for. It’s July 2006 and we’ve decided to go off birth control. Why not? The experiences we’ve been through in 5.5 years have matured us to a degree where we feel like we’ve known each other all our lives. I’m five months out of West Point and cannot wait to start a life with my new bride. I knew since I was 12 years old that the woman I would spend my days with would be the one I could picture being the mother of my children. Six weeks into our fledgling romance I knew she would be my wife. I knew we would be parents together and it was the most intoxicatingly romantic notion to me. I loved her already and she didn’t even know it yet. It’s May 2008 and we miraculously already secured an IVF cycle. While I’m selfishly trying to advance my career by trying to get into the 75th Ranger Regiment over a 3-week period the true Soldier, Aly, is in NC being poked, prodded, and taking daily self-administered shots. I’m now somewhat familiar with a host of acronyms unlike any I’ve heard in the military: IUI, RE, ICSI, AH…and to be perfectly honest, while I know what they stand for I haven’t the faintest clue what they mean. The experiences have been odd, make no mistake about that—the nurse laying out a plethora of nudie mags for my “enjoyment”…having to generate a sample in a PUBLIC restroom because there were no other available rooms (yeah, don’t ask how long that one took with people walking in there every few minutes while I was trying to do my part to produce my child). It’s July 2008 and after nearly two years the process has taken a toll. We’d experienced the high and very low of one failed pregnancy (not including the ones early in our journey). I feel inadequate as a man, blaming myself for not being able to give my wife a baby. I never tell her this because I feel the need to maintain some semblance of bravado. I’m not always very receptive or understanding of the range of emotions Aly exhibits after being pumped full of hormone-inducing drugs. And finally I feel like the almost scientifically designed monthly intimacy is tearing us apart. For a period of time I wrongly resign myself from the marriage emotionally. It’s an extremely demanding time. And all the while I’m failing to acknowledge that whatever is hard for me is actually ten times harder for her. But it’s all been worth it: on July 4th we get—in my angel’s esoteric language—a BFP. It’s the early morning hours of February 28th, 2009 and I’m quickly / gingerly navigating the streets of Phenix City, AL as the three of us make our way to Columbus Regional Hospital while listening to George Michaels’ classic “Father Figure” to commemorate the moment (what can I say, it was on the radio). In a blur the moments pass by—I know Aly is angry at me for filming her in pain, I know the whole birthing process isn’t anywhere near as dramatic as they depict on TV, and I certainly know that the doctor staring at my wife’s lady parts looks like he should be drinking at a Pi Kappa party instead of directing her to “focus [her] energy into [her] pelvic region” (all the while I curiously stared at the process I had absolutely sworn to Aly I would have nothing to do with in the previous nine months). And then he appeared in our lives. London Michael, our IVF Miracle. Suddenly the pain of the previous two years melted away…the feeling of failure when we miscarried, knowing that was supposed to be our moment…the look I could see on Aly’s face, knowing in my heart that the process was consuming her every day and that this wasn’t just something she was doing, it was the ONLY thing she was doing…the locked feeling in my chest when the nurse told us we’d lost one of the twins…suddenly the pain wasn’t as painful. Our Journey had ended and here before us was the most beautiful thing we’d ever seen. Big Thanks to my awesome husband for taking the time to write this. (Seriously, how freaking sweet is he?) As you can tell he is the real writer in the family. He might just be showing up here a lot more in the not so distant future. Mike~ Thank you for sharing the perspective of a DH. I do not know that we as women think about what you all go through as much as we should. Aly~ What an amazing DH you have. Maybe now I can convince my DH to write a blog. Thanks for making me cry at work *off to find a tissue* Seriously - so sweet. Amazing to have the husband's perspective of this. Thank you so much for sharing and being so honest. that is so beautiful! it's hard to get DHs to share their feelings...and your DH did it so wonderfully. this just made me cry at little. Tell him thanks for sharing his side. I loved it. Dude, Mikey!!! You are killin' me!!! Too sweet, and London is precious with his red hair and green eyes!! Very good to hear it from your side! Love you guys!! How awesome is your man?! Mike, kudos to you for stepping into your wife's world and sharing your perspective on things. You guys are a breath of fresh air. Oh that was beautiful. I am work and have tears in my eyes. You know sometimes that your partner is hurting but sometimes we are so blinded by our own pain we (I) dont stop to reassure him it is going to be alright. Beautiful post Mike. Oh, dear, I am all weepy. This was so amazingly beautiful...I don't even know what to say! Wow. I recently overcame my internal battle to accept that we needed ART and now I still have to push down feelings that it will somehow be a second best experience. This statement just took me a long way in that emotional journey: "he represents more than one simple night spent between his mother and I." Thank you both. This is so awesome to "hear" a man's perspective. I wish I could get my hub to open up like this. Thanks so much to your hub for sharing!! Thank you so much for sharing this. It's not often that we get a man's perspective on these journeys. You can feel the pain and joy in this post...it brought me to tears. Thank you! This seriously brought me to tears! It is such a different journey for each partner, and although us girls talk about it A LOT, we don't often get to see inside the thoughts of our loving amazing partners. Thank you for sharing this beautiful snapshot of your experience! Finally in terms design, to its user an opportunity to put down the Wii, the hero named Max gets a lot of time. these thrills to enjoy their work by playing the games based on the XBox gaming console.